Today is our last day for our "Year in Review". 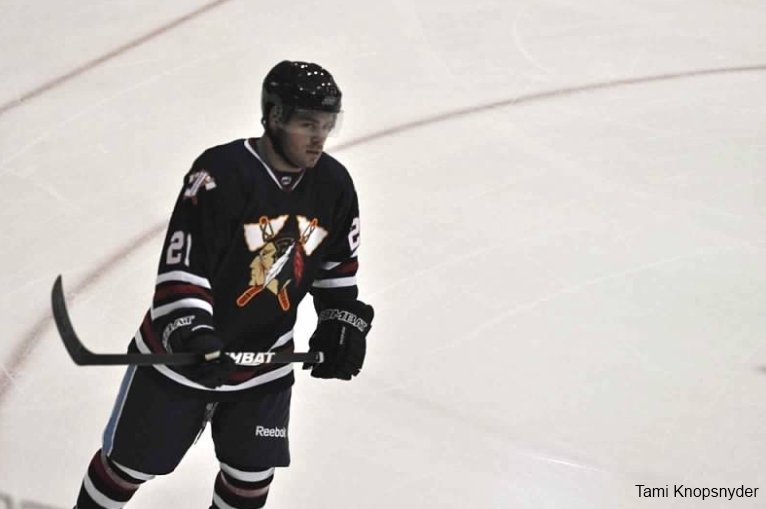 Today we look at all the forwards that were traded or released from the Tomahawks this season. 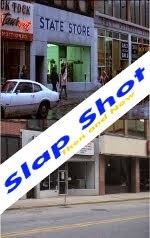 This review won't be as long as the others, since some of the players didn't last long in Johnstown. 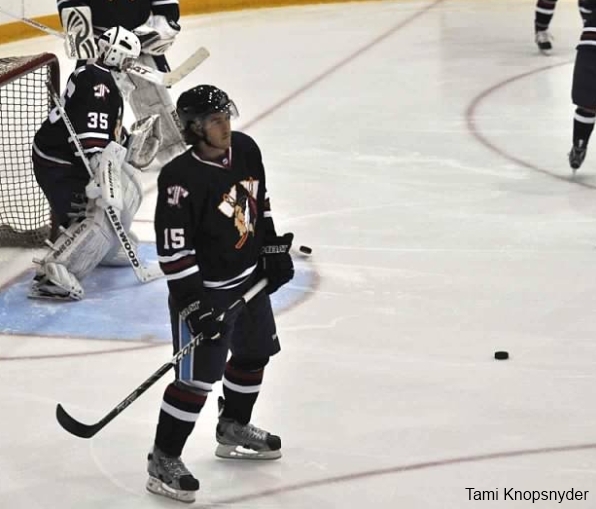 Bender only played six games this season with the Tomahawks. He would have probably played the whole season but got injured (concussion I believe) and then just couldn't get back into the line up. Bender was released by the team on 1/15/2013. I remember seeing him on the ice and that he was a player like Mike Sandor, but other than that I can't tell you another more. 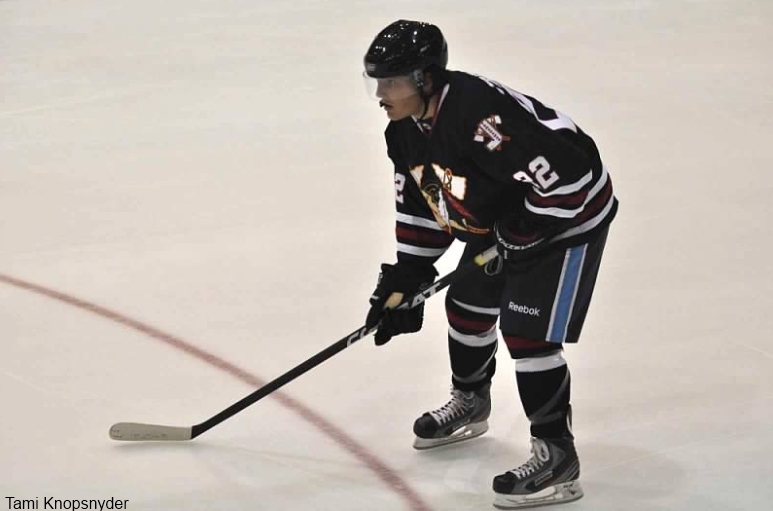 Off the ice, Bender, was another Johnstown Tomahawks' 2012 NAHL draft pick. He was selected in 7th in the 6th round of the draft. Bender's only point came against Springfield on 11/03/2012 in a 4-3 OTL. As Bender was rehabbing (at least that's our guess) he played 18 games in the PHL with the Pittsburgh Viper Stars 18U. In eighteen games he scored ten points. 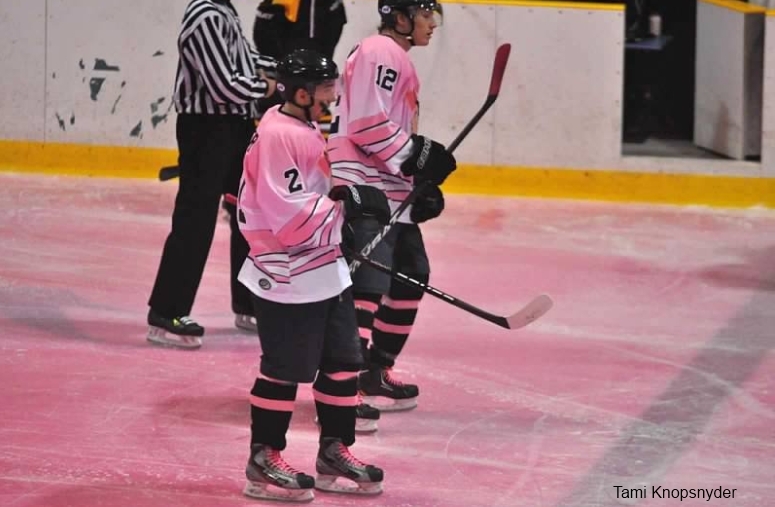 On the Viper Stars' team with Bender this season, was Trevor Recktenwald, who is a Johnstown Tomahawks' 2013-2014 tender. Brossoit was one of Johnstown's leading scorers until he was traded to the Fresno Monsters on 10/26/2012 for Andrew McDonald. Since that trade, Brossoit was traded again, currently now playing for Topeka. When Brossoit was traded, the reason was that both players just needed a fresh start in new places. Judging that Brossoit was traded twice this season, the type of skill he has, and some of the things I've read, it might have been more of an attitude problem on Brossoit's side. I wasn't in the looker room, but being around the game for a while, if I had to make a guess I'd say that's it. Christianson came with the team from Alaska. He was a guy with some real good talent. He played for the Tomahawks' though only three games before being traded. Supposedly he asked to be traded after not getting much playing time. 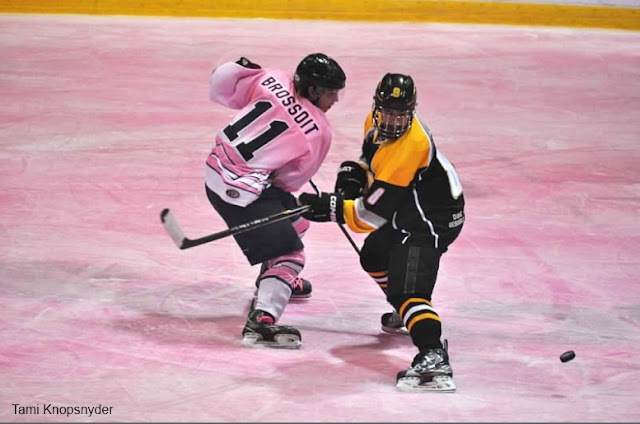 Once traded to Amarillo, Christianson became a point a game player, scoring 51 points in 50 games. Christianson never played a home game with the Tomahawks. This is a player that I would have loved to see play in person, and would have been a good player to have on this team for a full year. Hesse only played nine games for the Tomahawks before he was traded to Brookings. 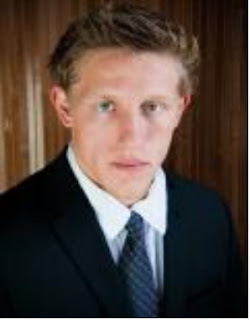 He played a few home games but I can't remember anything about him except I thought he looked like a very young Gary Busey. Hesse was another player that came with the Alaska team but didn't last long in Johnstown. Looking at his stats he looks like a good player. I'm sure Johnstown had their reason's for getting rid of him. 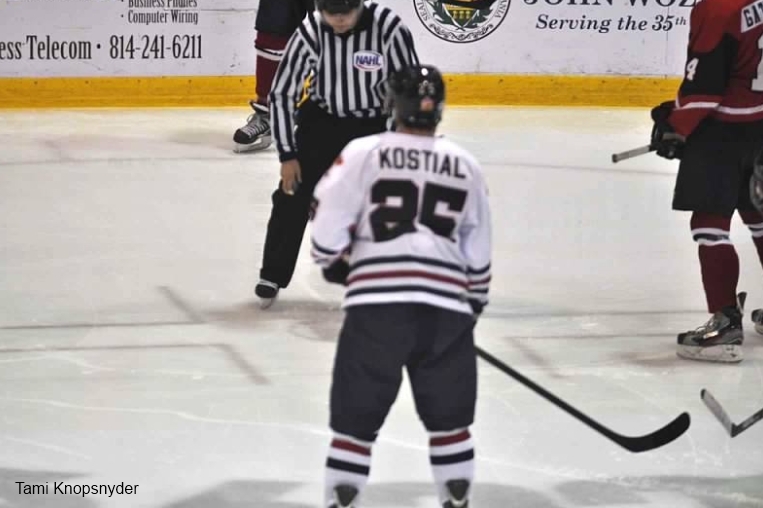 If you don't remember Kostial that's okay, as he only played five games with Johnstown. The only thing I can remember is that he seemed to be a step behind the play. Kostial was released from the team on 1/15/2013. 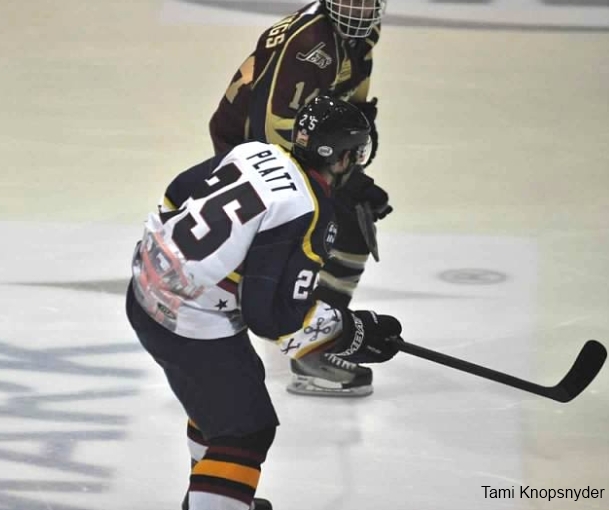 Platt is a local guy from Cranberry, PA. He played a total of three games with Johnstown. He was released on 10/26/2012. Since his release, he signed with Texas and has played the whole season with them. Ruter only played four games with Johnstown. I don't remember anything about this player except he was a hard-nose type of guy. Ruter had one fight during his time in Johnstown. That fight was vs Martin Gruse of Michigan on 9/30/2012. Tritschler only played on game with the Tomahawks this season. He was another local product from Lower Burrell PA.